What Is Extra Sharp Cheddar? 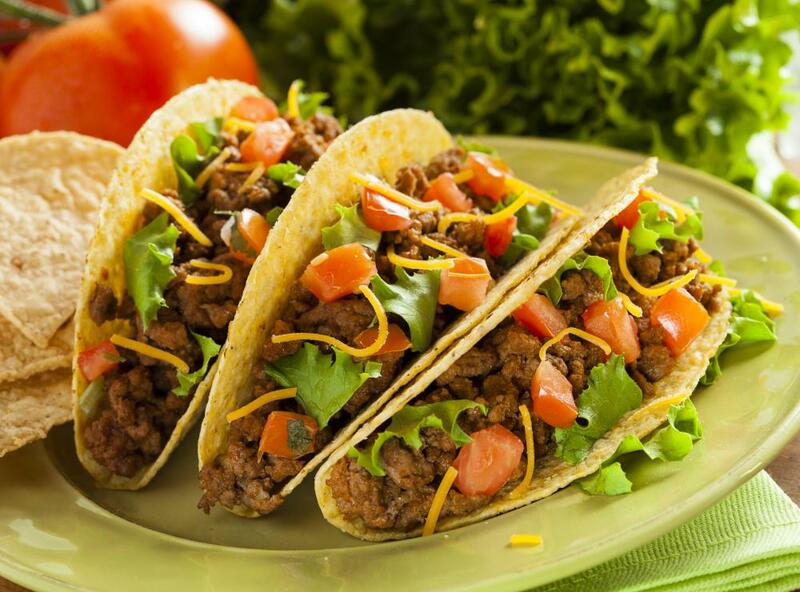 Extra sharp cheddar cheese is often used as an ingredient in crispy tacos. Extra sharp cheddar is a hard yellow or white cheese with a strong, pronounced flavor that has been aged for as much as two years or even longer. It is actually bacteria within the cheese that helps to create its sharp flavor, and it is often sealed in wax or cloth while aging. Like all cheddars, it originated in Great Britain, but is now made all over the world. It is considered to be an all-purpose cheese and can be used in many different ways, but is particularly popular in Mexican or Spanish dishes. 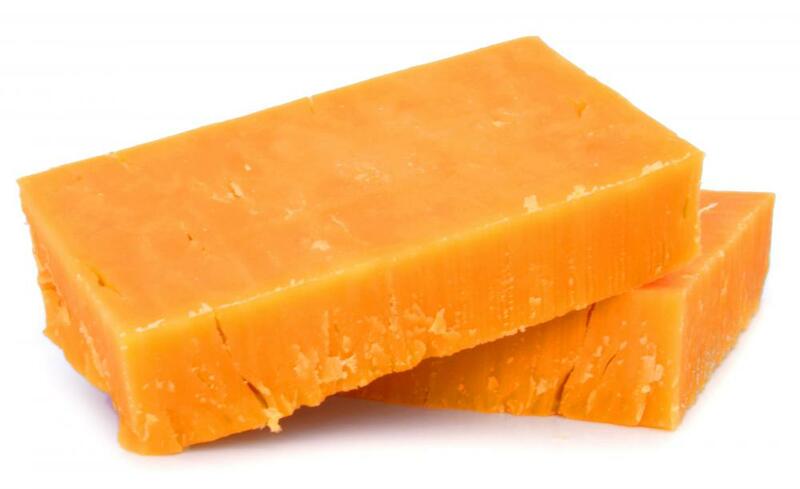 Aged types of extra sharp cheddar cheese are made by heating the curds, adding salt, and then kneading the mixture. It is then cut into cubes or loaves, which allows the whey to drain out. They are then stacked up and turned about every ten minutes. The cheese is aged at a consistent temperature until the desired sharpness is obtained. Often, the loaves are stored in underground caves, which provides the right conditions for the cheese to age. Cheddar cheese gets sharper as it ages due to bacteria that generates enzymes that break down the proteins and fats within the cheese. The result is a robust, nutty flavor that is almost meaty. This makes it a great choice for melting into sauces as a topping for beef, chicken, or pork. While aging, extra sharp cheddar is sealed in black wax, or may be wrapped in cloth by smaller companies. This method of storage allows the cheese to breathe, which is said to improve the flavor. Cheddar cheese will keep for several weeks when stored in the deli drawer in a refrigerator. If the cheese becomes moldy, it does not need to be thrown away. The outer mold can simply be cut off and thrown away, and the remaining cheese may still be used. There are any number of ways to cook with cheddar cheese, and it can be added to any part of the meal. It can be served on top of crackers, or cut into chunks and added to a fruit or vegetable platter for an appetizer. Extra sharp cheddar sauces make a great topping for all types of dishes. It can be mixed into pasta, potatoes, rice, or vegetables as a tangy side dish. These sharply-flavored types of cheese are often used in Mexican or Spanish dishes where a strong taste is desirable. Since aged cheddar cheeses tend to be more crumbly than milder varieties, they can be easily grated or shredded and used as a topping for pizza, tacos, and burgers, as well as breads or casseroles. It can also be blended with other milder cheeses to create a more balanced, milder flavor. What Are the Different Types of Cheddar Dip?